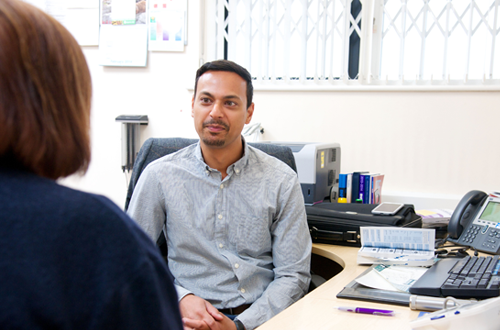 Our main aim is to promote the wellbeing of our patients and provide high-quality care and service at all times. To do this, it is essential that we listen to you and do all we can to meet your needs. That is why we have created a patient participation group, which is open to everyone registered with us. It is your opportunity to influence and achieve real change through working with others to ensure what we provide is what you want and need. To find out more, contact the practice on TEL No. These are just some examples of the work of practices and PPGs from across our member practices. To find out more, ask at the surgery for further details. The NHS Fylde and Wyre Clinical Commissioning Group (CCG) – of which our practice is a member – Public and Patient Engagement Group meets monthly and includes representation from disadvantaged groups, the faith and voluntary sector, disability representatives and older people. The group’s views are fed into the CCG’s Quality and Improvement Committee, which reports to the Governing Body, and so is part of the CCG’s official governance process. By joining the CCG’s affiliate membership scheme you will have the chance to share your views on the healthcare provided in Fylde and Wyre and act as a health champion in your community. The scheme, which currently has more than 800 members, is open to all Fylde and Wyre residents and individuals registered with a local GP. Patients, carers, the general public and employers of all ages are most welcome. Once you join as an affiliate you are added to the database and will be invited to complete questionnaires and take part in online polls relating to local healthcare. Occasionally, we may also ask you to join one of our focus groups so that we can gather detailed feedback about a specific issue or topic. The CCG organises regular listening events and cafes, giving people the opportunity to share their views and experience of NHS services. These one-to-one, drop-in sessions also seek the views of local people in order to influence commissioning intentions. The CCG will soon be launching a volunteering programme, giving people the chance to become involved in its work through a wide range of opportunities.